If you haven't heard about the benefits of bone broth - you will very soon! 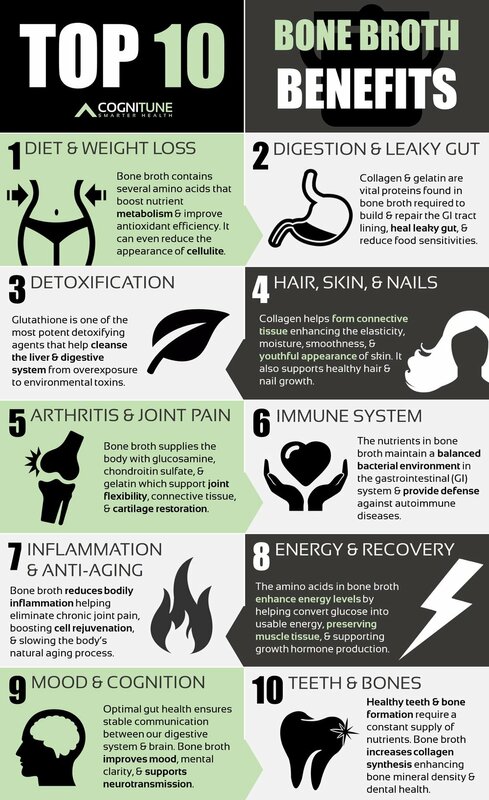 From improving skin, nails and hair to bone and joint health, bone broth is full of essential nutrients and collagen that make it a power-food! My favorite organic bone broth is from The Brothery. Click here to purchase! I was recently on WXYZ talking about the benefits of adding bone broth to your regular diet. Click here to watch my recent segment on WXYZ. Newer PostWant wellness on-the-go?! Check out my podcast!